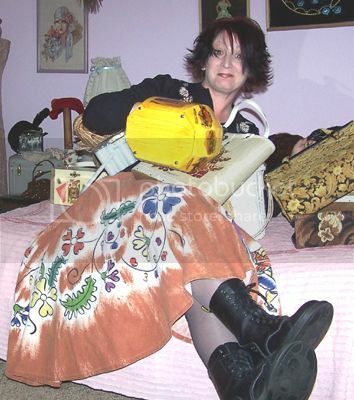 If I Play My Cards Right Purse. 1960s. Maker: JR Florida. 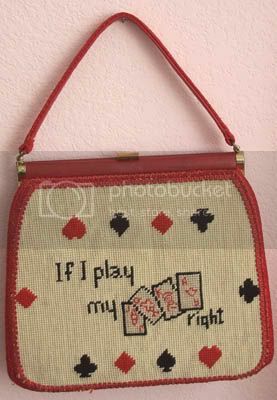 Tweedy red purse with needlepoint front that says “If I play my (cards) right,” featuring four playing cards and heart, spade, diamond and club detail. Outlined in matching red trim. 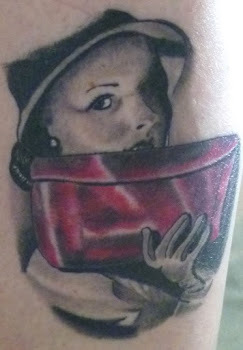 Cute little built-in change purse. Woven handle. I bought this at the Vintage Expo in Santa Monica and I’ve never seen another like it. Which isn’t to say there’s not one out there somewhere. 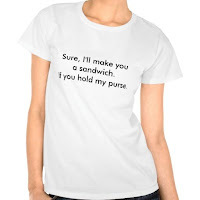 Which would mean that we’re both lucky—if not in cards—then in purses!